Do No Deposit Bonuses Live up to the Hype? What’s better than a percentage bonus on your next deposit? Why, free playing power, of course. No deposit bonuses take the concept of a healthy deposit bonus and give it a little something extra by eliminating the need to make a deposit in order to capitalize on an online casino’s generosity. A crafty way to attract new players, these offers make a certain amount of playing power available with no risk or obligations, so those looking for a new gaming destination can get a feel for everything a particular casino has to offer. Right about now, you may be thinking that they sound too good to be true. After all, how can a casino afford to give players free money without any guarantee that they’ll come back if they win with it? The answer, as with most things, can be found in the small print. Put on your spectacles and grab a magnifying glass, and let’s examine the validity of no deposit bonuses. 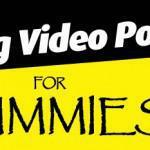 There are three primary restrictions in place that make no deposit bonuses feasible for casinos. 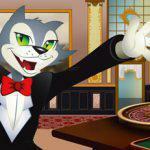 These include playthrough requirements, max cash out limits and game restrictions. When combined, these limitations make the casino experience feel complete for new players, even if the chances of winning real cash are relatively low. As a result, it’s better to think of no deposit bonuses as a tool to check out a casino before making a deposit, as opposed to a tool to get rich without risking any money. While that definition isn’t quite as glamorous, it’s realistic. If you’re able to defy the odds and withdraw some cash from one of these offers, which is a definite possibility, then you can take that as a bonus, and, of course, a sign that a particular casino may be worth your time and deposit moving forward. Most casinos don’t go out of their way to advertise no deposit bonuses, and that’s because other types of promotions are more lucrative to both parties. However, that doesn’t mean they don’t offer them. For the players who are willing to do a little homework, no deposit bonuses can be found. 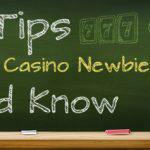 Whether you’re new to a particular casino or just want to pad your bankroll, most offers can be cashed in, as long as you haven’t capitalized on a no deposit offer lately. Remember to check out the terms of a deal before entering a code. If you’ve got plans for your winnings, you’ll need to know the playthrough and max cash-out details, in particular. Don’t expect to find a no deposit bonus without these two rules, because they would amount to free money. 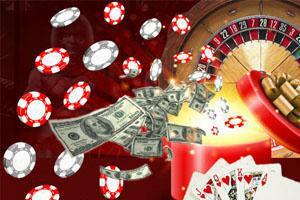 Casinos that make it a habit to give away no strings attached free money aren’t around for long! Playthrough requirements are the most common type of rule associated with bonuses. Basically, they require players to wager a certain multiple of the initial deposit or, in this case, no deposit bonus, before they’re able to cash out winnings. The specifics of playthrough requirement vary from casino to casino, so always do your homework. In many cases, it can be preferable to use a no-rules code with a smaller bonus percentage instead of a larger bonus code with playthrough limits. While this fact doesn’t necessarily apply to no deposit offers, it’s worth keeping in mind if you plan to play at online casinos. Anyway, let’s look at an example. Suppose your no deposit bonus features a playthrough requirement of 25x. This means that you’ll need to wager the value of the bonus 25 times before you can cash out. While it may seem like a lot of play, it’s simply a tool to offset online casinos’ risk and protect them from players looking to take advantage of generosity and run away. By encouraging play, online casinos are able to provide incentives that brick and mortar casinos can only dream about, and no deposit bonuses are a shining example. 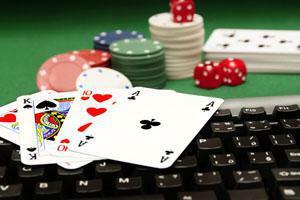 Cash out limits protect online casinos from huge risk on no deposit bonuses. If you find a no deposit bonus with no max cash out limit, proceed with caution, because this is an extremely dangerous offer for casinos to make. Suppose, for example, that you accept a $220 no deposit bonus, and you then hit an unbelievable hot streak. After a while, your bankroll reads $20,000, and you’re feeling grand. If the casino allowed cashouts under these circumstances, they’d be out of business in no time. 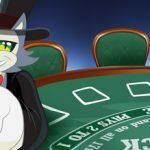 Max cash out features limit risk without eliminating the fun for players. Limits may be listed as a multiple of the original offer or as an actual dollar amount. In either case, this is the best case scenario in terms of a cash out down the road. Sure, it’s less than your possible winnings, but it’s still an offer to win money without a deposit. That’s nothing to sniff at! Not all games are created equal. Some casino games famously feature much better odds than others, and huge offers and no deposit deals would put online casinos at risk. That’s why most no deposit bonuses are only available on certain games, such as slots and keno. The good news is that online slots come in hundreds of varieties. 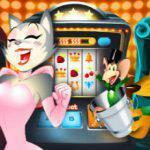 Even if play is restricted to slots and keno, you’ll still have hundreds of titles to choose from if you play at Cool Cat Casino. For players who believe no deposit bonuses are a blank check for free cash, they may seem like a bit of a disappointment. 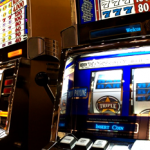 However, for those looking to experience the benefits of playing at a particular casino while enjoying an opportunity to net some free cash along the way, no deposit offers most certainly live up to the hype. 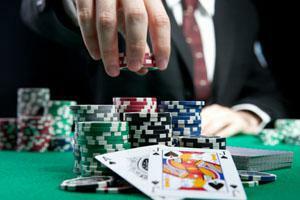 Keep your expectations in check and remember that online casinos are businesses, and you’ll be pleased with the offers available in the online casino industry. 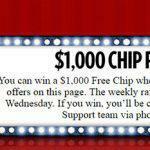 If you play your cards right, these free offers may even turn into free cash, and that’s never a bad thing!